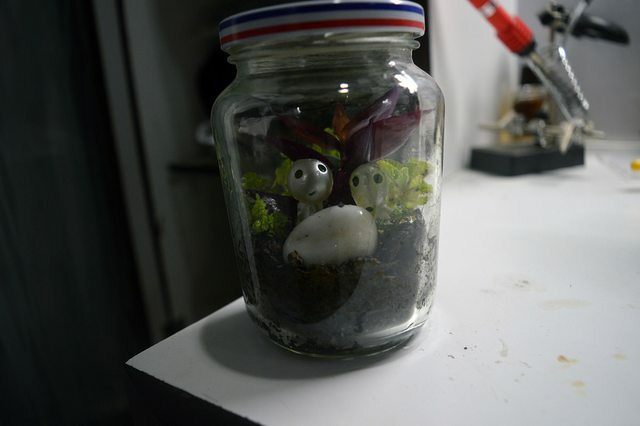 indianaquariumhobbyist.com » Forums » Chit Chat » I made a terrarium! http://indianaquariumhobbyist.com/community/ :: View topic - I made a terrarium! Posted: Mon Apr 02, 2018 6:00 pm Post subject: I made a terrarium! I just wanted to share this terrarium that I made in a small 500ml jar. Its got two Pilea species and one spiderwort. The base layer is aquarium gravel, activated carbon and home made organic compost+potting soil. Its in a spot that receives plenty of indirect sunlight. 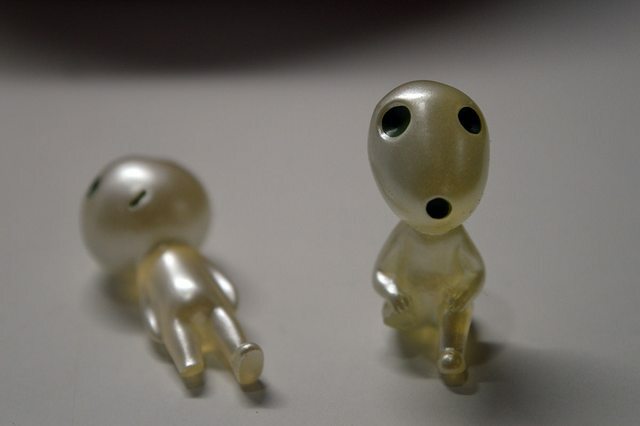 These are Kodama, or tree spirits, which were unfortunately broken and had great difficulty sitting/standing straight. They seem to like their new abode. Posted: Tue Apr 03, 2018 10:41 am Post subject: Re: I made a terrarium! Can you share images please? Posted: Tue Apr 03, 2018 10:49 am Post subject: Re: I made a terrarium! @ashwin1224, is the jar tightly shut or it has holes on the lid? Posted: Tue Apr 03, 2018 1:17 pm Post subject: Re: I made a terrarium! Its shut tightly, but I open it daily for about 5 minutes while I mist it with 1-3ml of water. Once the plants start shooting new leaves, it will be tightly shut and wont be opened unless I need to change something. The idea is to create a closed ecosystem completely self-sufficient with only external requirement being light. There are plenty of micro fauna in there and a few bugs to provide CO2 to the plants. Plenty of water for moisture. Any unpleasant things that are produced as a result of dead and decaying organic matter are taken care by a layer of activated carbon that sits beneath the soil. Are the images not visible? They have been embedded in the post. Posted: Tue Apr 03, 2018 3:11 pm Post subject: Re: I made a terrarium!